beauty and sweetness describe them from the start. which proves they were sent from heaven above. then they may start a family of their own. once we have them, we can never be without. 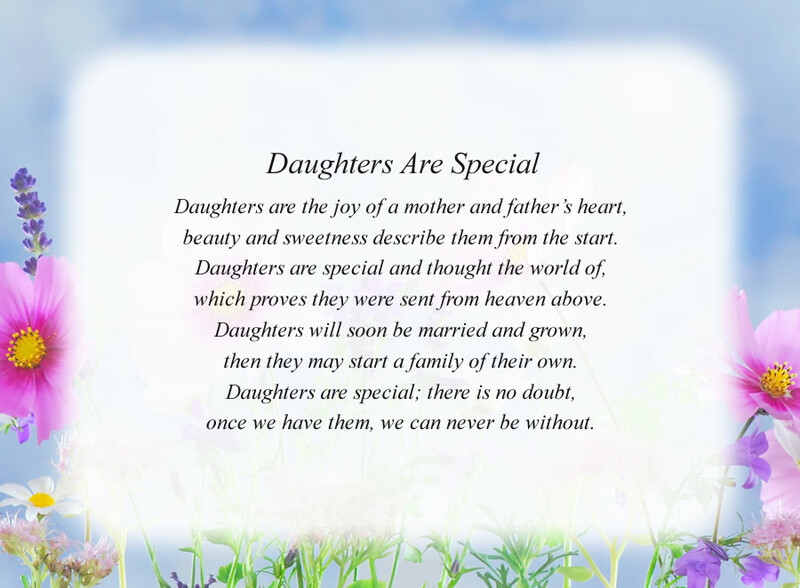 The poem, Daughters Are Special, is free and printable by opening or downloading using one of the three links below.